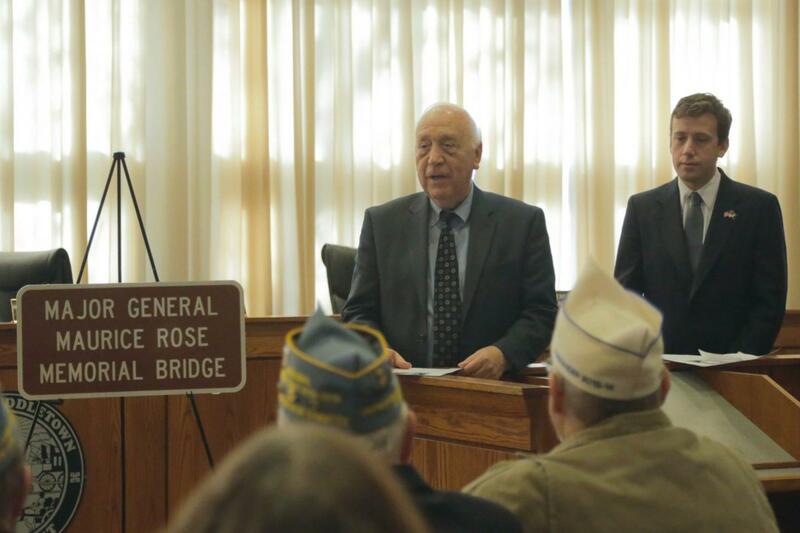 I joined members of the Jewish War Veterans Post 51 and other local leaders in a ceremony to rename a route 9 bridge the Major General Maurice Rose Memorial Bridge. Maurice Rose was born in Middletown 1899 and was the highest ranking Jewish soldier to die during World War II. Major General Maurice Rose earned a Purple Heart during World War I and climbed the army ranks during World War II. He ultimately became Commander of the 3rd Armored Division, which was the first Allied unit to advance through Eastern Belgium and the first unit to capture a major German city. On March 29th, 1945, he led a 100-mile drive through central Germany, the longest one-day drive by any Allied unit in the war. One day later, Maurice Rose was shot and killed by a sniper in the German city of Paderborn. He is buried in the American cemetery in Margraten, Netherlands.